Amazon has Lincoln Logs on sale for just $24.99 (regularly $41.99). Each tin contains 111 pieces. Entirely USA-made, these blocks are real, high-quality maple wood. Every piece has indentations that let them connect to each other. 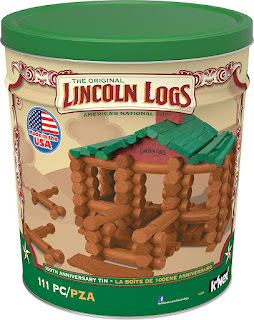 Pieces are included for the roof, roof facade, wall logs, chimney, porch, fences, bonfire, and bonfire seats. 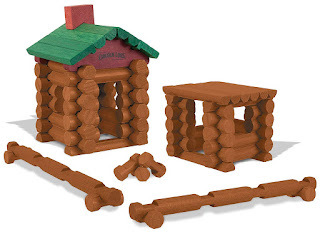 This classic set comes with three construction ideas: a tall tower, two small houses with a bonfire, and a large cabin. Children can use these easy-to-follow instructions as a guide, or can go freestyle and create their own structures.